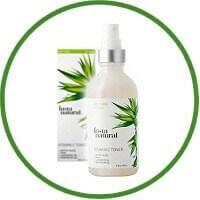 InstaNatural’s Pore Tightening Vitamin C Facial Toner is an all-in-one hydrator infused with anti-aging ingredients to leave your skin feeling refreshed and balanced with each pump of its formula. Vitamin C in the mist helps renew skin by neutralizing free radicals and UV-related damage to protect and strengthen the skin. Witch Hazel’s astringent properties purify oily skin and tighten pores, all while the sulphur works synergistically with other ingredients to increase skin elasticity. With each spray, your face is restored to natural pH levels and is in prime condition to absorb serums and moisturizers effectively. InstaNatural’s Pore Tightening Vitamin C Facial Toner contains powerful astringents, such as Witch Hazel and Tea Tree Oil, to purify your skin by cleaning and tightening pores. Shrinking these pores benefits the skin by helping you achieve a cleaner and younger appearance. Each soothing mist of toner delivers our advanced ingredients, including MSM, to penetrate pores and increase their elasticity. With even just a single spray, your face will become more receptive to serums, oils, and moisturizers and ensure these are absorbed more easily. Vitamin C Facial Toner is full of components with varying purposes, but they all work together to combat and remove excess oil. With the addition of Vitamin E and Glycolic Acid, the toner is sure to restore your natural pH levels while still being gentle on all skin types – even if your face is dry or sensitive. The formula for toner includes a vital amount of Organic Aloe Vera, which is what makes sure the toner won’t dry your skin. Instead, it provides hydration on its own and allows even more to be absorbed when followed with a dedicated moisturizer. When it comes to developing healthy and youthful skin in both men and women, Vitamin C is a vital nutrient that encourages the production of collagen. 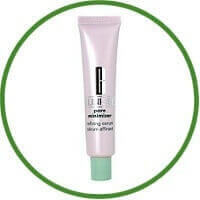 This is what gives your skin a tighter and younger look you are sure to notice a difference in your before and after.